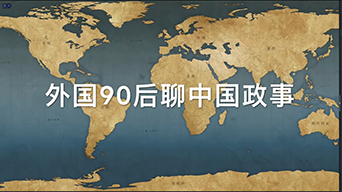 THE year 2018 will be the inaugural year for the implementation of the blueprint charted at the 19th National Congress of the Communist Party of China (CPC) last October. It also marks the 40th anniversary of China's reform and opening-up policy and the fifth anniversary of the Belt and Road Initiative. For China-U.K. relations, 2018 is also an important year. Prime Minister Theresa May is paying an official visit to China between January 31 and February 2. Both China and the U.K. want to take this opportunity to expand, elevate, and deepen our mutually-beneficial cooperation to build the "golden era 2.0." 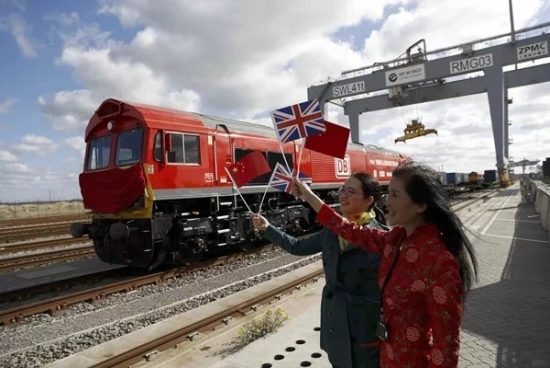 The China Railway Express ran its first freight train between China's Yiwu and London, offering a new, on-land option for the movement of goods between China and the U.K., and extended the Belt and Road to the very western end of Europe. It is May's first official visit to China since her taking office and also the first meeting of the China-U.K. top leadership since Chinese President Xi Jinping's state visit to the U.K. in 2015, during which the two nations announced to build a global comprehensive strategic partnership for the 21st century and were committed to building a "golden era" of China-U.K. relations. "A Global Britain" is the major policy of the U.K. government after the referendum on Brexit. Though the U.K. now maintains relations with its traditional allies, the EU and the U.S., it also seeks more opportunities on the global arena. China's increasing international status and impact magnetize the world's attention and May repeatedly mentioned that the U.K. will deepen its global partnership with China and strengthen the China-U.K. strategic relations. President Xi and Prime Minister May held meetings during the G20 Summit in Hangzhou and Hamburg. Xi, Premier Li Keqiang and May stayed in touch through letters and telephone calls. China and the U.K. reconfirmed the strategic definition of the "golden era," enhanced political trust, and enriched bilateral cooperation. The year 2017 marks the 45th anniversary of the establishment of China- U.K. ambassadorial diplomatic relations. The annual meetings of China-U.K. High-Level People-to-People Dialogue and the Economic and Financial Dialogue produced fruitful results. Bilateral consultations on counter-terrorism and peacekeeping have also had a good start, with strategic communication and mutual trust deepening. China and the U.K. are mutually essential sources of investment. In 2017, over 500 Chinese enterprises set branch offices in Britain, whose investment projects transferred from traditional areas such as trade, finance, and telecommunication, to emerging fields including new energy, high-end manufacturing, infrastructure, and R&D centers. The aggregate investment reached approximately US $18.9 billion. While the U.K.'s investment in China also exceeded US $21.8 billion, which had a tendency of spreading from coastal regions to central and westwards, inland China. 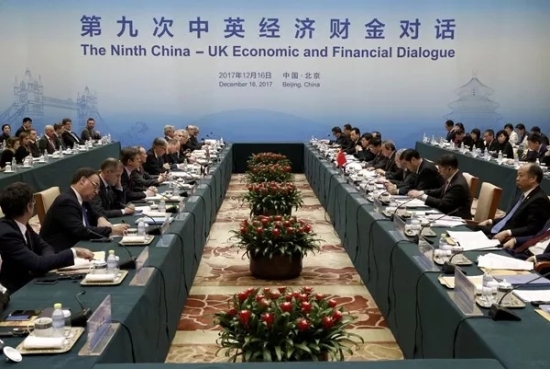 China-U.K. Economic and Financial Dialogue, established in 2008, has fared well through almost a decade and has become a high-level dialogue in the realms of bilateral economic and trade cooperation. During the ninth meeting of China-U.K. Economic and Financial Dialogue held in December 2017, the two countries discussed macro-economics, policy, trade, investment, industrial strategy, financial reform, and financial markets, as well as investment and financing under the framework of the Belt and Road Initiative. The two sides reached a range of important agreements, including the establishment of a bilateral investment fund with an initial input of US $1 billion. The commercially-based and market-oriented fund aims to support investment in the two countries as well as in potential third markets. On December 16, 2017, the ninth meeting of China-U.K. Economic and Financial Dialogue, held in Beijing, was jointly hosted by vice premier of China’s State Council Ma Kai and Philip Hammond, Chancellor of the Exchequer. At the China-U.K. Economic and Trade Forum in January, Chinese Ambassador to the U.K. Liu Xiaoming shared a list of "Golden Fruits." The construction of Hinkley Point C nuclear power station has begun; the generic design assessment of Hualong One technology has entered the second stage. China Railway Express ran its first freight train between China's Yiwu and London, offering a new, on-land option for the movement of goods between China and Britain, and extended the Belt and Road to the very western end of Europe. The ABP Royal Albert Dock broke ground, which is expected to play a key part in the development of East London. The Bank of China opened its Private Banking Service Center in London. Applications from the Agricultural Bank of China and Shanghai Pudong Development Bank to set up branches also got the go-ahead approval from British financial regulators. China and the U.K. have highly complementary economies. Sectors that stand to benefit range from trade, infrastructure, equipment manufacturing to high-tech, new energy, and financial services. The U.K. is highly experienced and competitive in financial and legal services, high-end manufacturing, clean energy, creative industry, bio-sciences and medicine. While the 19th CPC National Congress points out that socialism with Chinese characteristics has entered a new era. China's economic development has also entered a new era, which is marked by the transition from high-speed growth to high-quality growth. In China, poised on top of a huge market, the economic structure is being improved, new sectors such as the digital economy are thriving, and innovation-driven development strategy has been effective and delivered fruitful results. The U.K., known for being open and free in trade and investment, is the first major Western country to apply to join the Asian Infrastructure Investment Bank (AIIB) and the second country after China to pour funding into an AIIB special fund. China-U.K. cooperation will create more opportunities and platforms for both to explore regional and international markets, and step up liberalization and facilitation of international trade and investment, making economic globalization more open, inclusive, balanced, and universally beneficial. Since its establishment in 2012, the China-U.K. High-level People-to-people Dialogue have signed 50 cooperative agreements in areas of education, culture, health, sport, youth, tourism, news media, and region-to-region collaboration, bearing 72 cooperative fruits, some of which have become widespread flagship projects. In 2017 the cooperation extended to the realms of society and women, so as to further strengthen exchanges and deepen cooperation. Culture is the origin of creativity which can cross the boundaries of nations. On December 7, 2017 Chinese Ministry of Culture and Embassy of China in the U.K. jointly held "Weaving A Dream" in London, exhibiting more than 90 Chinese traditional handicrafts, and 40 items of hand embroidered clothing articles made by both Chinese and Western designers. Nine xiuniang, or embroidery workwoman, from China's southwestern region displayed their traditional craftsmanship at the scene. Lady Barbara Judge, co-organizer of this activity and chairman of The Institute of Directors noted, "As a U.K. Business Ambassador on behalf of U.K. Trade & Investment, I am very delighted to promote U.K.-China cooperation on culture and creative industry." 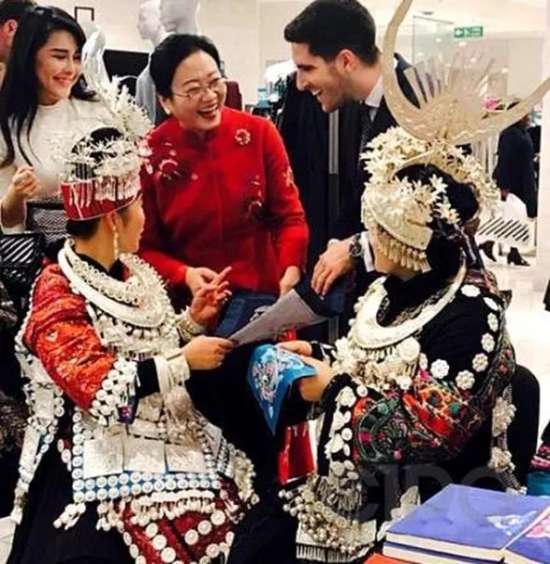 Xiuniang, or embroidery workwoman, from China's southwestern region, displayed their traditional craftsmanship during the fifth meeting of the China-U.K. High-level People-to-people Dialogue held in London. China-U.K. people-to-people exchanges have also made numerous achievements. Chinese Vice Premier Liu Yandong and the U.K. Secretary of State for Health Jeremy Hunt signed the joint statement of the fifth meeting of the China-U.K. High-level People-to-people Dialogue as well as 10 cooperation documents covering the relevant fields. Chinese New Year activities are now carnivals celebrated in many areas of the U.K. and the number of Chinese visitors has been soaring. Annual exchange visits between two nations has exceeded 1.5 million people. In the U.K., there are 170,000 Chinese students, 29 Confucius Institutes, and more than 600 British primary and secondary schools have Chinese language in their curricula. For now, China's socialism with Chinese characteristics entered a new era, and the U.K. is in a new stage of "Global Britain." The two nations stand poised at the cusp of a China-U.K. "golden era 2.0," from which both stand to reap mutual benefits and prosperity and also make contributions to a new type of international relations as well as the community with a shared future for all mankind.